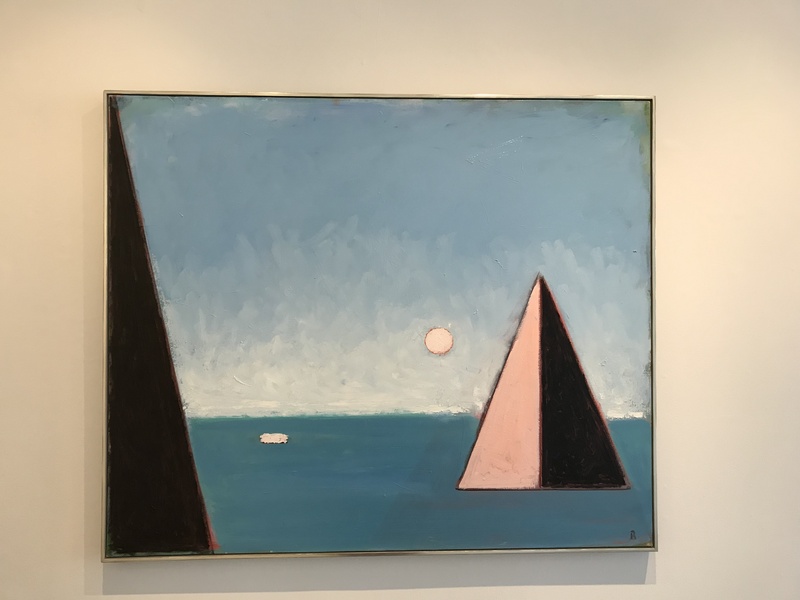 The exhibition “Paul Resika: Geometry and the Sea” features recent paintings that blend landscape painting with geometric abstraction. 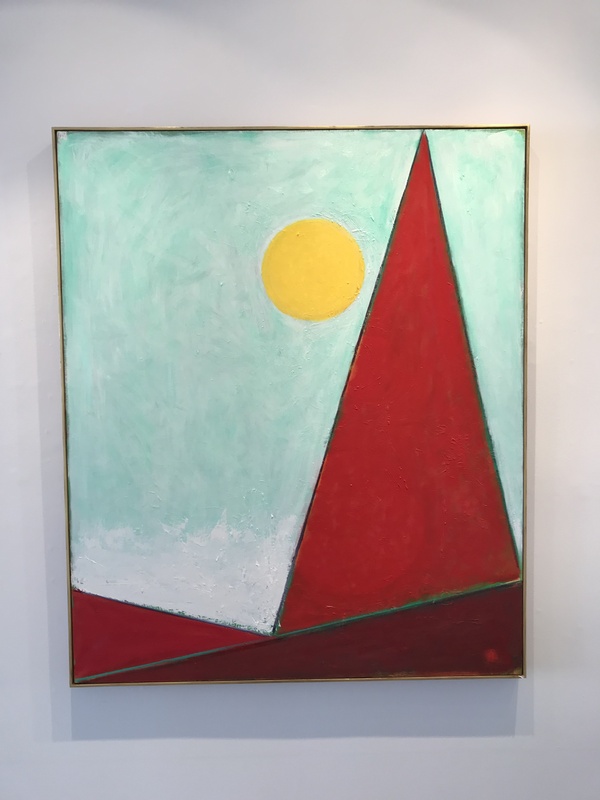 “Triangle-Sun” from 2017 features three triangles, two of them are right triangles, in the foreground. In the background Resika paints a more atmospheric sky and yellow sun. “The White Moon”, from 2017 has an isosceles triangle formed from two back to back right triangles. It appears to be floating in the sea like a steep mountain island. Resika creates a unique dialog between the natural world and straight edged mathematical geometric shapes. 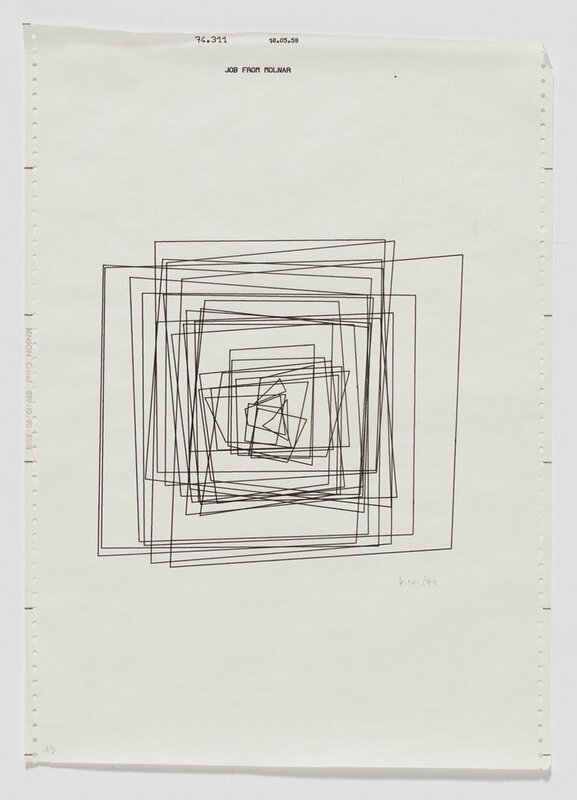 The Joshua Liner gallery is currently presenting “Superposition”, an exhibit curated by Johnny Abrahams. The title of the show refers to quantum mechanics and the concept of an atomic element appearing to be in multiple positions at the same exact moment in time. 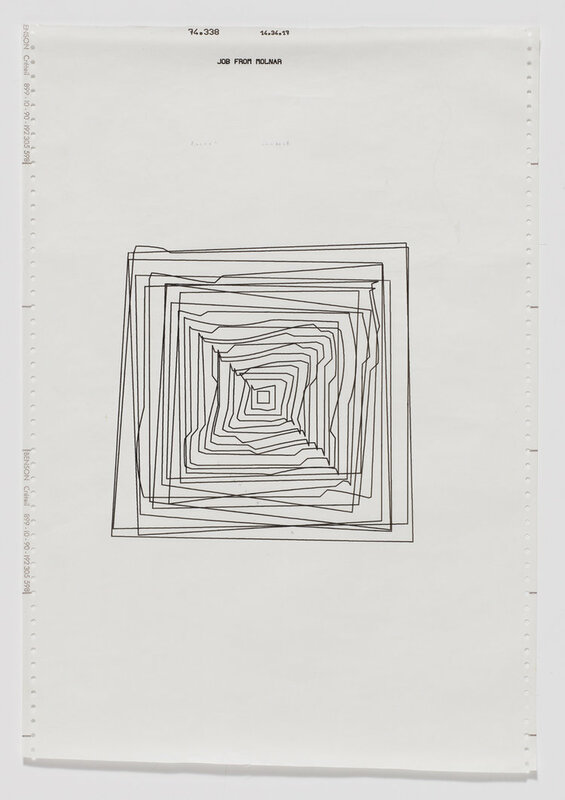 The works in the show offer some alternate ways to look at geometric forms and patterns. 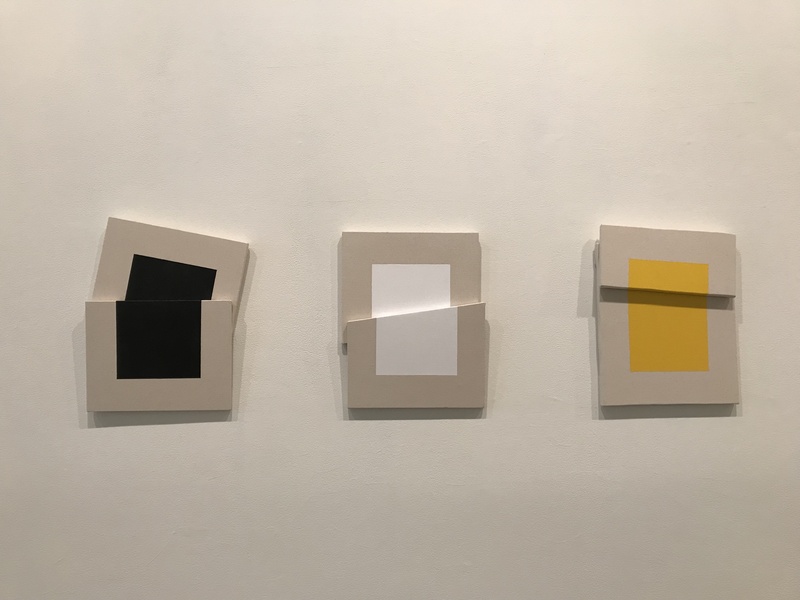 Vanha Lam’s “Broken Plane” series of paintings is an excellent example of a unique representation of one of the most basic shapes. Each work is a paining of a rectangle, but the canvas has been sliced into two pieces creating a top section and a bottom section. In the case of the black and white paintings the bottom panel overlaps the top panel. In the yellow painting the top overlaps the bottom. The simple rectangle has broken out of the the 2-D plane, taking on new characteristics of space and shadows. “Superposition” is up until April 22 at Joshua Liner Gallery, 540 W 28 St, New York.